For reasons not altogether clear to me, some folks seem to think “evolution” is a dirty word that is so evil that they forbid their children to utter it. 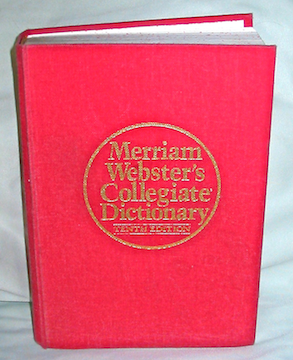 The first definition of evolution I find listed in my dog-eared Merriam Webster’s Collegiate Dictionary, tenth edition, is: “one of a set of prescribed movements”. This, it seems to me, is not worth getting excited about. Next comes: “a process of change in a certain direction”. Again, nothing very controversial here. Then, I find: “the action or an instance of forming and giving something off: EMISSION”. This doesn’t seem to be worth fussing about. Most people, fundamentalists included, are probably pro growth, as in the evolution of mathematics, or the evolution of computer programming techniques, so that is probably not the root of the problem. So far, so good. The definitions seem to be getting more interesting as we go along, or, dare I say, the definitions are EVOLVING into something more interesting as we go along. Let us continue, even though I realize reading the dictionary is not everybody’s cup of tea. Next on the list is: “a process of gradual and relatively peaceful social, political, and economic advance”. Sounds like an positive development to me. I find next: “the process of working out or developing”. Once again, nothing to get excited about. So far, it appears that evolution has two primary characteristics, neither of which should be cause for alarm: CHANGE and/or DEVELOPMENT. “the historical development of a biological group (as a race or species): PHYLOGENY”. This may be discomforting to some. It seems to me that those who get upset about this sort of thing should be getting upset about “phylogeny”, not “evolution” because a definition of phylogeny is: “the evolutionary history of a kind of organism”, which, as I understand it, is what all the fuss is about. If one chooses to demonize a word for reasons, real or imagined, one should, at least, CHOOSE THE CORRECT WORD. Another definition of “evolution” that has to do with biology is: “a theory that the various types of animals and plants have their origins in other preexisting types and that the distinguishing differences are due to modifications in successive generations”. Ah Ha ! This must be the root of the problem ?????????? the beef cattle from which hamburgers and steaks are derived. So, it’s OK to artificially induce evolution, but not OK for Mom (mother nature, that is) to do it ??!! Religious Fundamentalists – – Get over it and go pick on phylogeny and leave evolution alone. And, while you’re at it, stay away from piphelpoop – it’s my favorite pet word. This entry was posted in Miscellaneous Musings and tagged definition, evolution, phylogeny, religion, terminology. Bookmark the permalink.